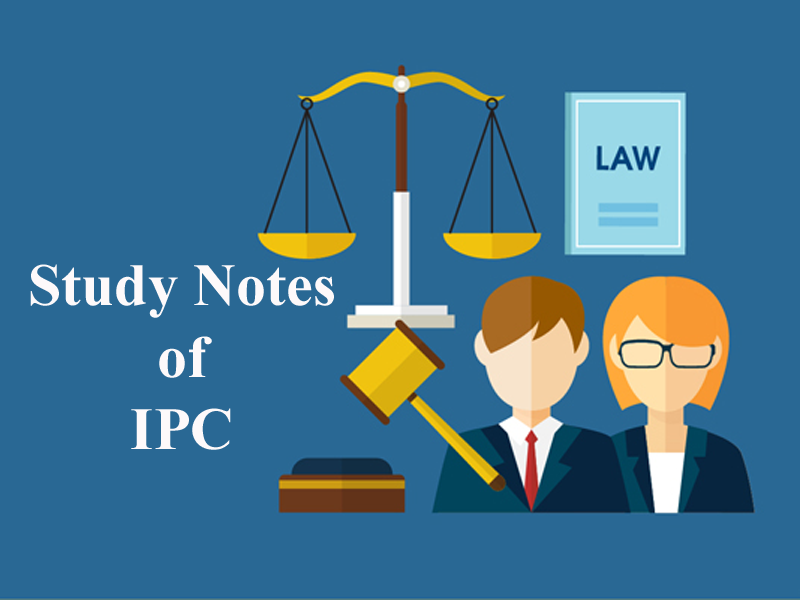 Here we are providing you updated and most relevant Study notes on IPC of Offences Against Human Life for Law Entrance Exam. These study notes are highly recommendable for all those who aspire to crack CLAT, DULLB, AILET and other Law Entrance Exam. Homicide means killing a human being by another human being. If the offender knows that the act by which the death is caused is so imminently dangerous that it must, in all probability, cause death. Exception 1: Culpable homicide is not murder, if the offender, causes the death of the person who gave grave and sudden provocation to the offender. Example: B gives grave and sudden provocation to A, A, on this provocation, fires a pistol at B, neither intending nor knowing himself to be likely to kill Z, a passerby. A kills Z. Here, A has not committed murder, but merely culpable homicide not amounting to murder. Exception 2: Culpable homicide is not murder, if the offender, in the exercise in good faith of right of private defence, exceeds the legal limit and causes the death of the person without a pre-meditation and without any intention of doing more harm than necessary. Example: A, suspecting house-breaking, saw B, the total stranger, coming out of A’s house at night through a hole apparently made by B. A immediately attacked B and killed him. The Court held that A was guilty of culpable homicide not amounting to murder. Exception 3: Culpable homicide is not murder, if the offender, a public servant, exceeds his legal powers and causes death, by an act, which he believed was in good faith, lawful and necessary to discharge his duty and without ill-will towards the person killed. Exception 4: Culpable homicide is not murder if the victim consents to his/her death being caused. Euthanasia is the practice of intentionally ending a life in order to relieve pain and suffering. Active euthanasia entails the use of lethal substances or forces, such as administering a lethal injection, to kill and is the most controversial means. 1. In the case, the death of a person is caused by doing any rash or negligent act, not amounting to culpable homicide. 2. It is punishable with two years’ imprisonment and fine. 3. The provisions of this section apply to cases where there is no intention to cause death and no knowledge that the act done, in all likelihood, would cause death. 1. What does homicide mean? B. The Bodily injury likely to cause death or is sufficient, in the ordinary course of nature, to cause death. 3. B gives grave and sudden provocation to A, A, on this provocation, fires a pistol at B, neither intending nor knowing himself to be likely to kill Z, a passerby. A kills Z. Will A be liable for culpable homicide amounting to murder? 4. A, suspecting house-breaking, saw B, the total stranger, coming out of A’s house at night through a hole apparently made by B. A immediately attacked B and killed him. Will A be liable for culpable homicide not amounting to murder? 5. A patient in the last stage of cancer, suffering from excruciating pain requests her husband to remove the life support. Will this be murder? 6. A lays sticks and turf over a pit, with the intention of thereby causing death, or with the knowledge that death is likely to be thereby caused. Z believing the ground to be firm, treads on it, falls in and is killed. Has A committed the offence of culpable homicide? 7. A knows Z to be behind a bush. B does not know it. A, intending to cause or knowing it to be likely to cause Z's death, induces B to fire at the bush. B fires and kills Z. Has A committed the offence of culpable homicide? 8. A, by shooting at a fowl with intent to kill and steal it, kills B who is behind a bush; A not knowing that he was there. Will A be held liable in this case? Get the updated and most relevant study notes on IPC of Offences Against Human Life for upcoming CLAT and other Law Entrance Examination.